On the 5th March 2016, the second edition of the only worldwide Muay Boran event took place. IMBA academies from 18 different countries (Italy, Norway, Finland, Germany, Spain, Portugal, Greece, Poland, Switzerland, Israel, USA, Mexico, Colombia, Brazil, Ecuador, Argentina, Venezuela and Peru) all participated by creating their own specific event for the day. Each country brought Muay Boran to the global centre stage with seminars, Khan grading’s, demonstrations and competitions. IMBA world days’ inauguration on March 7th 2015 laid both a strong foundation and set the standards for this year’s successful collaboration. With such a scale of international alliance, the event did not just come to life through physical training but through the various social Media platforms. IMBA world day reached immeasurable levels of awareness through numerous visual creations such as films, photography and other artistic digital creations from the various academies. IMBA has a global network of highly qualified instructors; each dedicated to the academy’s popular teaching format and curriculum. The unification of the international academies is living proof that international barriers can be broken down where knowledge and passion are the common denominators. IMBA world day not only proved itself as a successful martial art celebration but it revealed that people will gather, generate and grow under the banner of education and the spirit of art. The scope and range of the academies Muay Boran curriculum is vast. 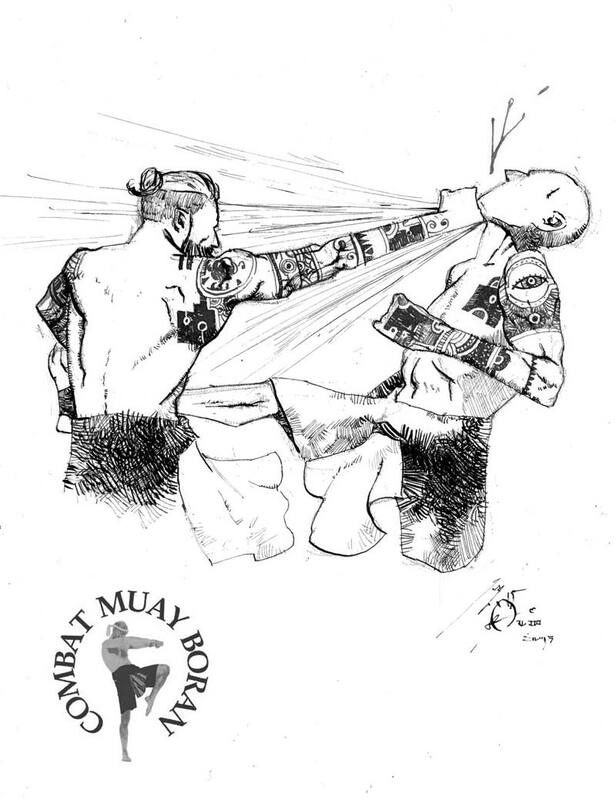 That the depth and range of Muay Boran has penetrated through many language and culture barriers leaves no doubt to why it increases in popularity. The global interest in Muay Boran is not an accident but the result of strategy, insight and the pedagogic intelligence of Grand Master Marco De Cesaris. The curriculum itself has to reflect the highest level of information possible in order that it can surpass cultural and linguistic frontiers. De Cesaris has refined, structured and brought up to date a vast ancient knowledge system and this has been fundamental to IMBA’s proliferation. The first two years of IMBA world day have been a huge success. Each year that now follows will have the strength of this foundation to act as a springboard for greater fruitful international expressions. With information technology and social media, IMBA has succeeded with bringing ancient knowledge well into contemporary times.